Isn't it beautiful how some of the world's most profound wisdom can be encountered in the simple, straightforward words of children's books? Like The Velveteen Rabbit, I have spent a lifetime "becoming real." I have spent innumerable dollars, therapy hours, study hours and calories trying to become the person I was meant to be. In short--trying to learn to love myself. My journey wasn't easy. I didn't always love myself--hell, I didn't even LIKE myself some days. Over time, I've come to accept myself and my body, for what it can do, and NOT for what it looks like. I've been feeling a little insecure and down-trodden this week (a self-esteem slump maybe? ), so it's good to have a reminder to keep my spirits up, stay true to myself and to not be hardened by stress or circumstance. This passage from The Velveteen Rabbit always reminds me that life is all about becoming, learning, growing, and loving. We must weather the self-esteem lows in order to grow as individuals. "When I wake up in the morning, I feel just like any other insecure 24-year-old girl. Then I say, ‘B***h, you’re Lady Gaga, you get up and walk the walk today.'" Q.O.D. (Question of the Day): What quote or saying inspires your when you hit a self-esteem slump? What's your favorite children's book? It is beautiful how the "classic" children's books have life lessons tied to them. I love the excerpt that you posted...it is so true!! I am still trying to love myself...I have come a long way since meeting Dave 7 years ago and have made a major improvement since meeting you 3 years ago. I still have some self-esteem issues....I have good days/weeks and bad ones. I don't have any quotes or saying but I'm thinking of making an inspiration board (as you mentioned before) and seeing how that helps!! 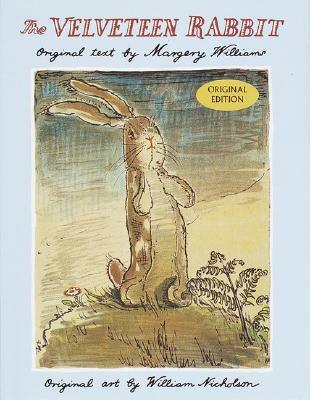 That's so great - thanks for posting the except from the Velveteen Rabbit. And I've never heard that Gaga quote, but I love it! And I didn't know she was only 24!